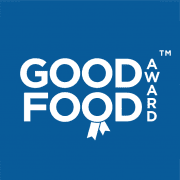 Dinas Kitchen, 6 York Place, Brighton, East Sussex, BN1 4GU have now been awarded the prestigious Good Food Award for 2017 & 2018. Over the last twelve months we have evaluated customer feedback and these premises have demonstrated exceptional levels of food quality, service and value when compared to industry benchmarks in their category. Here at the Good Food Award we like to hear your experiences and preferences so please do leave your recommended dishes. Wonderful authentic Portuguese food made to a high standard. The staff here are so friendly and the restaurant has a very warm and welcoming atmosphere .